Round 2 of Malaysian Rally is now over. 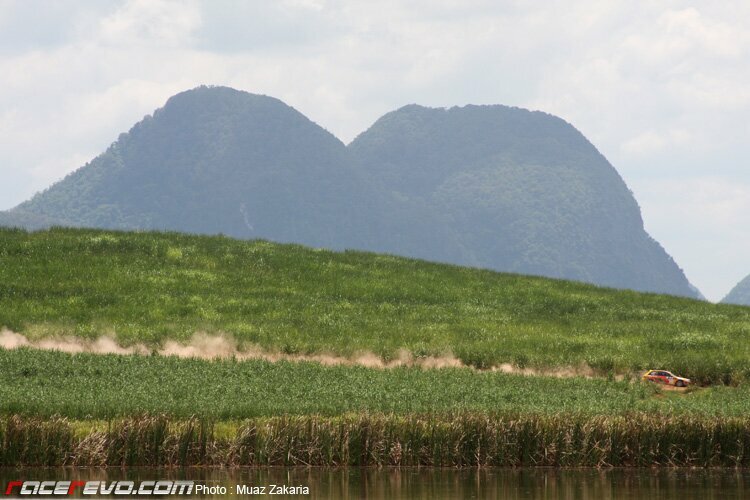 Perlis is a breathtaking piece of landscape beauty. We are in awe of the majestic surroundings, blue sky at mid day and never without the accompanying clouds. To add to the already impressive scenery was a huge field of greens everywhere with sudden huge rocks emerging out of pattern here and there. Stay tuned while we report the MRC and up close with Faidzal Alang (Pennzoil GSR Racing Driver) coming soon.